If you come ‘round these part enough then you know that I have a strong love/hate relationship with Ms. Chrisette Michele. She basically has followed L.L.’s post “Bigger and Deffer” steez of every other album being dope. I really didn’t love her first album (it had some dope songs but I didn’t LOVE it) but I absolutely loved her second album “Ephiphany.” But her third album “Let Freedom Ring” was just aiight if that. So using Jay Z’s math equation I SHOULD be absolutely in love with Ms. Michele’s fourth studio album “Better." I don’t know if I can go that far cause after “Let Freedom Reign” dropped, I kinda wrote Ms. Michele off and wasn’t even checking for her til I saw her performance on TV One's poetry series “Verse and Flow” of her new song “Supa.” Now that song and performance made me fall back in love with shorty. I can’t tell you how many time I watched that performance and how many hours, days, weeks, months I spent scouring the net looking for a MP3 of this song to no avail. Then I heard her next single “Better” which to me is straight up and down perfect. 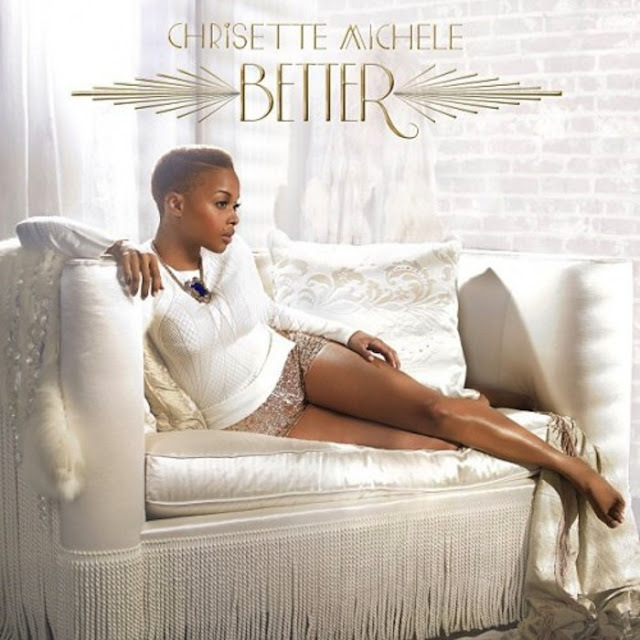 Next up was “A Couple of Forevers” and when I first heard it I was like “damn, all Pop and Oak (my 2 new fave R&B producers) did was loop up the O’Jay’s “Stairway To Heaven?” But I can’t front, the words mixed with Chrisette’s voice help make this song her own. So with 3 damn near perfect songs under her belt, “Better” should be a 5 mic classic right? My only beefs with “Better” is the song “Rich Hipster” featuring Wale is absolute trash and then Chrisette forces us to listen 2 Chainz who is probably one of the worst rapper I’ve EVER heard on "Charde" which absolutely ruins the song and third is the fact that the one of the best songs “10 Foot Stilettos” is only on the deluxe version. This banger could EASILY check in as black women’s new anthem (you know black chicks are feenin’ for an anthem when they accept Beyonce’s “Girls Run the World” as their anthem) with lines like “strap me in real tight/I’m too cute to fall/I’m super high, far away from it all/got a bag to match, carry all my burdens/make it through it all, even if I’m hurting” and “high above the drama/stuntin’ like a rock star/watch me by the walk in my ten foot stilettos/can’t nobody get to me/here where it’s easy to breath/I’m just standing free in my ten foot stilettos” but you leave this off the regular version CD?!?!?!? And on that note, why do labels even have the “deluxe edition?” I guess it’s another way to try to get an extra $5 bucks out the consumer. “Better” may not check in as the 5 mic banger I thought it might (and might is the key word) be but even with a couple of flaws here and there, that can’t stop “Better” from proving my “L.L. theory” is 100% on point. So with that being said, I guess I’ll hate Ms. Michele’s next album...so I better (no pun intended) enjoy the hell outta this one.